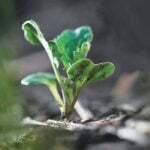 In the spring when weeds seem to be popping up by the minute, knowing exactly what you have in the field will help you determine the best course of action. But some weed species and their doppelgangers are tough to tell apart. 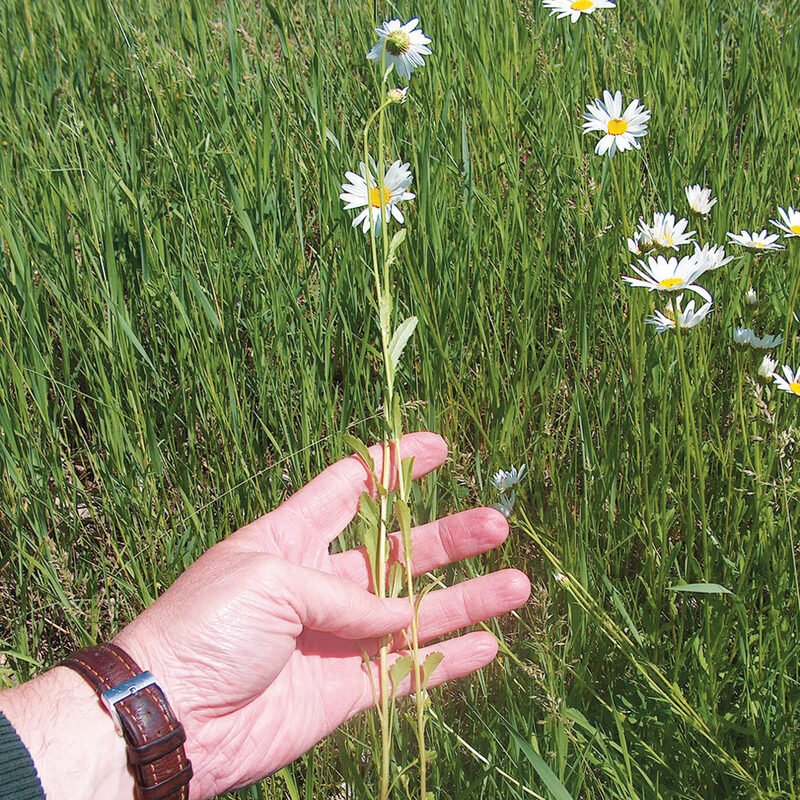 Clark Brenzil, Saskatchewan’s provincial weed specialist, outlines some of the trickier species and offers tips on how to differentiate between them. Generally, yellow and green foxtail will look very similar in the seedling stage. While both species have a fringe of hair on the ligule, yellow foxtail has a few long, scraggly hairs, which are not straight, but slightly wavy, Brenzil explained. They are much longer than the ligule hairs, and don’t follow the stem, but stick out to the side. This is the best way of differentiating between yellow and green foxtail in the seedling stage. In the adult stage, when they’re heading out, both will have a bottlebrush appearance with a dense head of single spikes and hairs sticking out from the auricles. The difference between yellow and green foxtail is that the hairs that stick out from yellow foxtail are actually yellow. The photo on the left is a yellow foxtail seedling. The photo on the right is the green foxtail seedling. The fringe of hair on the yellow foxtail is scraggly and wavy, while the hair on the green foxtail is straight. Being a short-lived perennial, white cockle is a little tougher to control when the plant makes it through the winter. Night-flowering catchfly, on the other hand, is an annual or a winter annual, and will not be quite as robust as white cockle. Knowing the difference between the two is important so that appropriate measures can be taken towards management. Night-flowering catchfly can be stickier than white cockle, which is how it got its name, but since both can be sticky at certain times, this is not a good differentiating feature. A better feature to compare is leaf shape. White cockle has an elliptical-shaped leaf that the taper on both the tip and the base is roughly equivalent, and the broadest part of the leaf will be roughly in the middle of the leaf, Brenzil explained. The leaves of night-flowering catchfly are more spatula shaped, so the broadest point is closer to the tip rather than in the middle. Night-flowering catchfly, on the other hand, is a little on the rougher side. The leaf surface is a little less smooth, and has bumps that can make it look somewhat warty. The veins aren’t as consistent, and the hairs on it are not a consistent length and they’re not as dense. Once it gets into the flowering stage, night-flowering catchfly will have creamy-coloured flowers that open in the evening or in the very early morning. White cockle, on the other hand, will flower throughout the day, and the flower is very pure white. Night-flowering catchfly, on the other hand, has both male and female organs on each flower. For the most part, telling these two weeds apart is fairly easy. Most of the confusion will take place during the flowering stage, as both have a daisy-like flower with a yellow button. 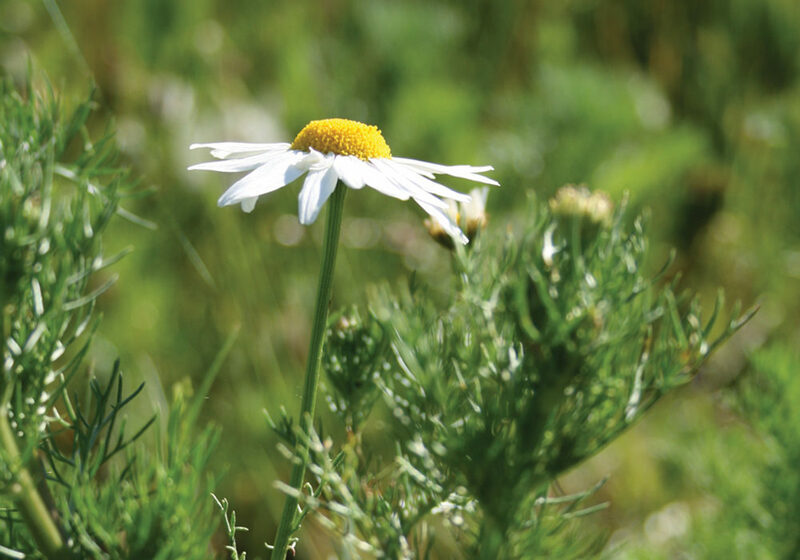 The way to distinguish between the two is that scentless chamomile has a very lacy leaf with lots of subsets. There’s very little flesh in between those veins, which gives it a lacy appearance, explained Brenzil. Ox-eye daisy, on the other hand, has a more spatulate leaf that’s not lacy. The edges are a little bit serrated. Scentless chamomile will have more flowers, but smaller. Ox-eye daisy will have a little bit of a larger flower, which tends to be borne on a single, almost leafless stem. A solid stand of scentless chamomile can get up to five feet tall. Ox-eye daisy rarely gets above a couple of feet high. The ox-eye daisy has an almost leafless stem, and rarely grows higher than a couple of feet. The leaf edges are a little serrated. It’s important to know the difference between the two because ox-eye daisy is a fairly persistent, long-lived perennial, said Brenzil. Scentless chamomile, on the other hand, is very diverse and can act as an annual, a winter annual, a biennial or a short-lived perennial. Management options, as well as intensity levels and rates, are very different for best control. Scentless chamomile is a prolific seed producer. One large plant can produce up to a million seeds. 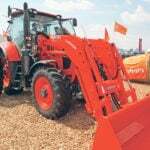 “You want to make sure you know what you’ve got so you can get on top of it before it allows those seeds to spread,” said Brenzil. While Japanese brome is less abundant than downy brome, it has the potential to be a problem weed. At the seedling stage, it is very difficult to distinguish between the two bromes. Japanese brome, though, tends to grow in wetter sites. Both species are very shallow rooted, but later in the life cycle, once the weeds reach the heading stage, the two are easily distinguished from each other. Downy brome has an open, drooping panicle with long straight awns attached to the seed. Japanese brome, on the other hand, has a panicle with the spikelets borne at the ends of long branches. Japanese brome seed is a little bit shorter than those of downy brome. At maturity, downy brome seeds are reddish in colour; the seeds of Japanese brome are tan. 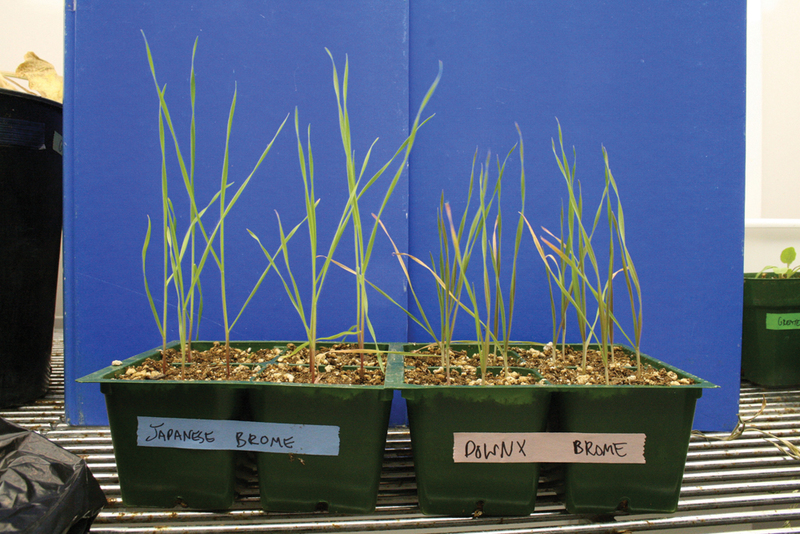 Japanese brome, pictured on the left, tends to grow in wetter sites than downy brome. In Manitoba, provincial weed specialist Tammy Jones points out one more troublesome pair that she says is unique to the province. Biennial wormwood is an aggressive and prolific seed-producing plant that has started to become a problem in soybeans in Manitoba. 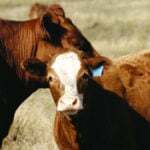 Many factors contribute to infestations, including season-long emergence, prevalence in moist environments, adaptation to all tillage systems, tolerance to commonly used soil-applied and post-emergence herbicides and misidentification of biennial wormwood as common ragweed. It’s important to note that some herbicides used to control common ragweed do not control biennial wormwood. Biennial wormwood can be distinguished from common ragweed through an examination of the leaves. The leaves of biennial wormwood have sharp edges and are hairless, whereas the leaves of common ragweed have smooth and round edges and are hairy.